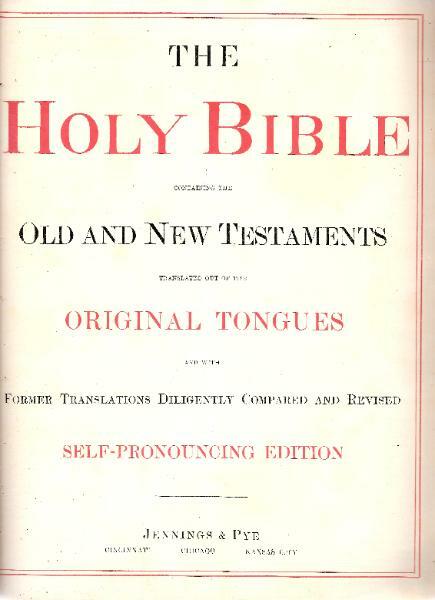 Holy Bible in English; Jennings & Pye, Cincinnati, Chicago & Kansas City, circa 1903. 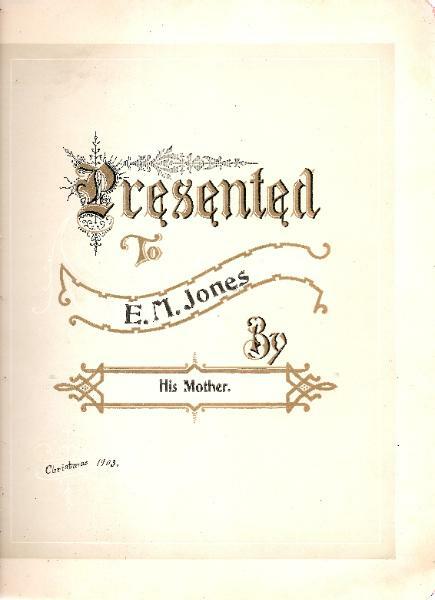 Presented to E. M. Jones by His Mother Christmas 1903. 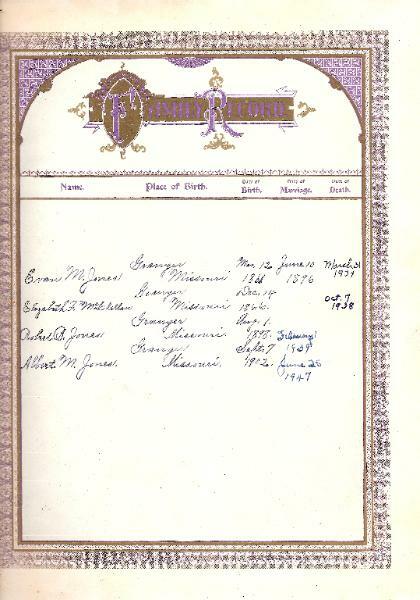 This Certifies that E. M. Jones of Granger State of Mo. and Elizabeth F. McClellan of Granger State of Mo. 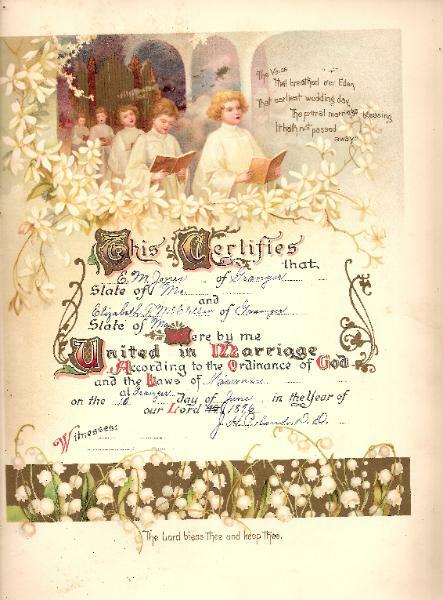 the 10 day of June in the Year of our Lord 1896 J. H. Poland, D.D.